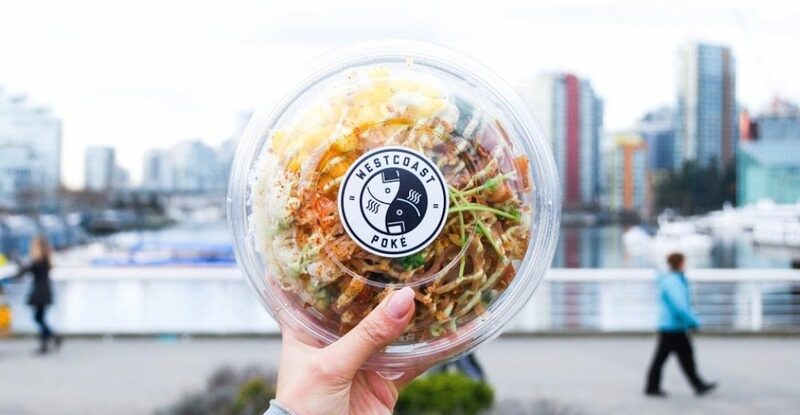 To celebrate the opening of their new Richmond location, Westcoast Poké is giving its patrons the gift of FREE poke on Friday, February 23. This spot – located in the Ironwood Plaza just off of Steveston Highway – will be the poké purveyor’s second eatery. Their first location is at 463 West 8th Avenue in Vancouver. While the Westcoast Poké Richmond location is set for a soft open on Monday, February 19, the day of glorious free poké and official grand opening will take place on Friday, February 23. The first 500 folks that stroll into this spot will get to choose from three Westcoast Classic bowls, all made with house sauces and fresh seafood from Seven Seas Fish Co.
One bowl per person, and only at the Richmond location – this deal is definitely worth marking your calendar for. Here is the full list of your options for free poké at Westcoast on the 23.